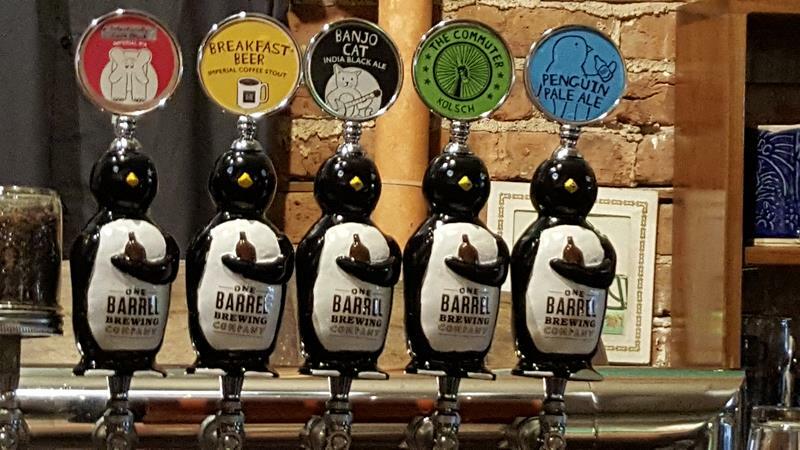 One Barrel Brewing Company anchors the heart of this historic Madison neighborhood called Schenk’s Corners along Atwood Avenue on the near east side. A “nano-brewery” located in a former neighborhood grocery, One Barrel’s tap room is like a cozy pub that offers a look at the entire brewing process, from the one-barrel brewing system (hence the name), and 11 fermentation tanks. From these, seven beers are regularly brewed: their Commuter Kolsch, Penguin Pale Ale, No. 2 Strong Ale, Bilbo Baggins Black IPA, Hopticity Jones, Breakfast Beer-Oatmeal Stout, and Emperor Penguin. Others brewed at times can include the Ale-o’saurus (an aged brew), Behemoth Imperial IPA, Bridezilla Brown (made by the brewmaster for his wedding…hmm…), Care Bear Blood Imperial Coffee Stout, and Chai-town Brown, a spiced brown ale. 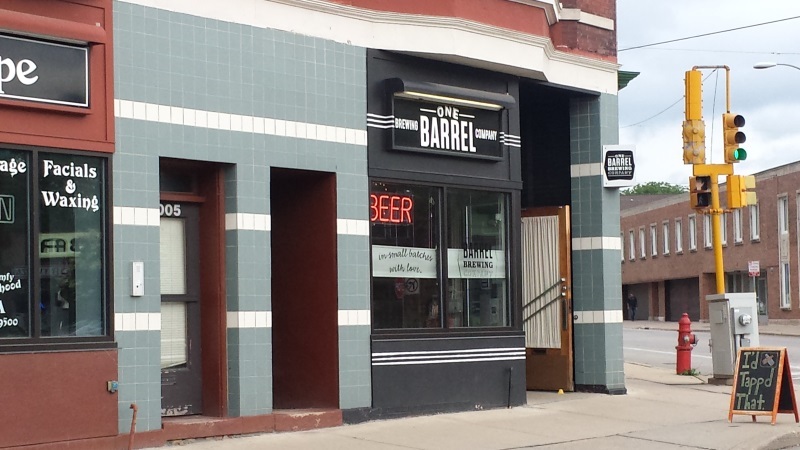 One Barrel also launched a line of gluten-free ciders and offers wine and light snacks for those who want to explore the place but aren’t for a beer right then. The beer menu at One Barrel changes daily, and the menu notes you can purchase a bar stool for $4,500… which we imagine must be something like a personal seat license at a stadium. We’ll find out more about that! One Barrel is west of U.S. 51/Stoughton Road and south of U.S. 151/East Washington Avenue east of the state capitol in the historic and very cool Schenk’s Corners neighborhood. Highway 113‘s southern end is just blocks away (at 1st & East Washington) and Highway 30 is just northeast from there. Within a fairly short distance you can also check out Next Door Brewing, Working Draft Brewing, Bos Meadery, Karben4 Brewing, and Ale Asylum – and those are just the ones within a few minutes of driving (or riding with someone responsible)! 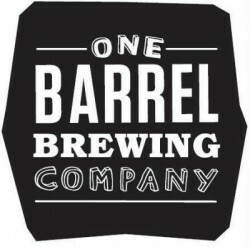 One Barrel Brewing along Atwood Avenue in Madison.